Must A Person Be A Human? The terms person and human appear to be interchangeable. How could a human not be a person? How could a person not be human? In fact, a person is not required to be a human. There is the concept of corporate personhood. In statutory and corporate law, corporations and other legal entities can be considered legal persons with standing to sue or be sued in a court of law. Any and all humans appear to be persons by definition. How could this not be so? It depends on the definition of a human. How is a living being defined or declared to be a member or the human race, a member of the human species and not a member of some other animal species? The term species is used to identify that group of animals or other living organisms that can interbreed, reproduce and have viable offspring. As humans (Homo sapiens), our species is a member of a larger group of primate mammals, namely Hominidae or Great Apes. Humans and apes cannot interbreed and reproduce. Yet we share a significant amount of DNA with other apes. In fact, human DNA is 98.8 percent identical to chimpanzee DNA. We also share a significant amount of genetic material with extinct species of animals that are considered evolutionary ancestors of humans. An analysis of the genetic variation showed that Neanderthal DNA is on average 99.7 identical to human DNA. It’s also true that no two humans are genetically identical. On average, in terms of DNA sequence, each human is 99.5% similar to any other human. That’s significant considering that Neanderthal DNA is on average 99.7 identical to human DNA, and chimpanzee DNA is on average is 98.8 percent identical to human DNA. Genetically, there is not much that separates us from Neanderthals and chimpanzees. Yet why are we considered persons, while they are not? In general usage, a human being (i.e. natural person), though by statute term may include a firm, labor organizations, partnerships, associations, corporations, legal representatives, trustees, trustees in bankruptcy, or receivers. This is potentially a slippery slope. One may state that a person is recognized as such “because rights and duties are ascribed to them.” The question then becomes what rights and which duties? Across cultures, countries, and societies, people do not have equal rights. Nor do they have equal duties as those duties are attributable not only by innate capabilities but also by age, society, family, employers, and the government under which they live. Certainly, a child has different duties and responsibilities than an adult, but is no less a person. The concept becomes malleable. Personhood can be conferred upon a human regardless of how their duties and responsibilities may be assigned. When conferring personhood, expectations are considered based on the obvious physical and mental capabilities of the human in question. No one expects a human with Down’s Syndrome to have equivalent physical or mental capabilities as a typical human, yet those with Down’s Syndrome are considered to be persons, to have personhood nevertheless. That brings this discussion back to the matter of DNA and genetics as a measure of “humanness” as a factor for determining eligibility for personhood. Those with Down’s Syndrome possess an extra chromosome; specifically chromosome 21, which contains 200 genes. When measured against the total number of genes in a human genome (21,000), the additional genes result in a variance of just under 1%. That means that on average, a Down’s Syndrome human and a typical (normal) human share 99% of their DNA. This genetic variance is nearly identical to that of Neanderthals and chimpanzees, yet personhood is conferred upon the Down’s Syndrome human but not upon Neanderthals or chimps. Could it be appearance? Unlikely as there are considerable obvious and marked variations in appearance among humans. Facial reconstructions of Neanderthals also indicate a remarkable similarity to humans to the extent that if a Neanderthal was given a haircut and shave and a new suit, they would easily blend into a crowd in New York City. It also could not be duties or the ability to survive without assistance. No one would expect a Down’s Syndrome human to independently survive, let alone thrive and prosper. Such a person is always in need of a support group unlike typical humans beings. They require a specialized environment tailored to their innate physical and mental capabilities. The same could be said of chimpanzees. Not one would expect a chimp to survive independently in New York City or within any modern human city or society. Yet when placed into their natural habitat, they will survive, thrive and prosper. Place a human in the same environment and such expectations would not be the same. Does that mean a human stops being a person if living in a chimpanzee’s natural habitat? Of course not. If a human can be conferred personhood based upon the rights and duties are ascribed to them within that society and environment in which they live, then a chimpanzee may also be conferred equivalent personhood based upon the rights and duties are ascribed to them within their society and environment. The science behind Relic and Relic II: Resurrection is reaching a tipping point. 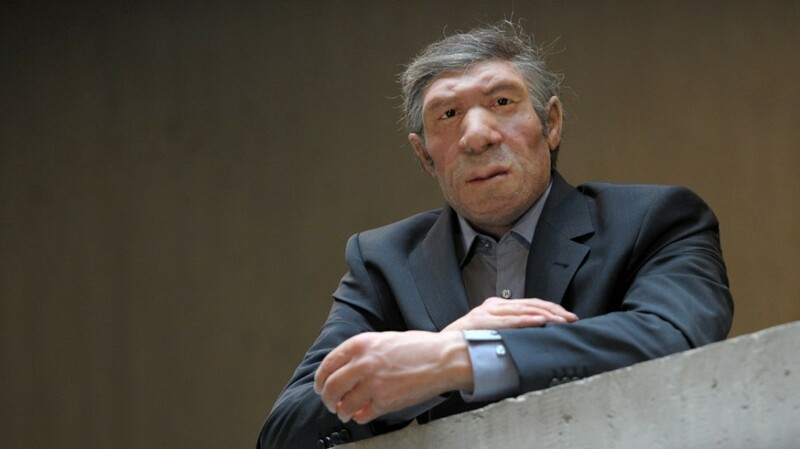 Scientists are debating about a possible return of the Neanderthal. With stem cell technology breaking through elsewhere and a complete sequence of the Neanderthal genome at hand, it’s seemingly only a matter of time or resources. Seriously, who needs Mammoths, if we could bring back creatures like Dinosaurs and/or our close relatives back to life. The scientific world was surely influenced by the Hollywood blockbusters of late, but they are indeed considering the possibilities. Big Think had an interview a while ago featuring Dr. Michio Kaku, professor of theoretical physics at the City College of New York, pondering the thought: what if we actually just clone dinosaurs or even more interesting from an anthropological standpoint the Neanderthal, all based solely off their genomes? Intriguing and plausible to geneticist and director of Harvard University’s Church Labs, George Church who believes (or hopes) that Homo Neanderthalensis will once again roam the world with us in our lifetime. All that’d be needed is a human female “adventurous” enough to take on that biological task. As we are in the midst of an ongoing discussion, flaring up for a couple of years now, should we be looking closely at our neighbor’s newborn baby? Church believes that with current stem cell technology and a completed sequence of the Neanderthal genome, the potential has been there for a while now. The discussion of the last 4 to 5 years clearly shows somewhat of a sentiment of compassion for the Neanderthals that went extinct tens of thousands of years ago, even though tiny bits and pieces obviously survived within our own genome. It would be an impressive feed for science and definitely paves the way for bringing back something from 65 million years ago. Dr. Kaku chimed in on that idea a couple of times now and always admitted, that cloning a dinosaur won’t be as easy as cloning a Neanderthal or a mammoth. However, does it mean it’s impossible at all? No, nothing is really impossible and the upcoming biological revolution through the use of quantum supercomputer should be immensely helpful in recreating all kinds of genetic sequences we can think of. The Potential for cloning through epigenetics is waiting for us and after finding enough proteins within soft tissues of recovered dinosaurs femurs, we already know that it resembles those of frogs, reptiles and even more so, chickens. Now, let’s get back to a question that pre-dates the scientific discussion – is it the right thing to do? Especially if we consider bringing back Neanderthals, where there are only minor technical limitations to get past, the ‘Cavemen ethics’ come into consideration. Big science like this surely is expensive, and any money spent on it is money not spent elsewhere, but if there’s one thing we learned from humanity’s troubled history – what could be done, always has been done… even or especially the morally wrong things. With Neanderthals, there will always be this ethical element and our most important might be: what do we do once a Neanderthal child is brought to life? It’s not a Hollywood-orchestrated coincidence of bringing back an Encino Man like the early 90ies comedy leads us to believe. After all, a Neanderthal is a very capable human being that should not be held in captivity next to some zoo animals and also needs a lifetime of study. We could observe the growing child’s behavior. Observation alone will not be enough, though as we don’t know much about the timely role and dependency of environmental inputs. Unlike most other animals, a Neanderthal would begin to understand how it is being treated and most likely reacts in a way that reflects its place in the world, it’s very own world of conception. Scientists would need to clearly communicate it to the cloned Neanderthal, fully aware of the implications and hoping that language can bridge the gap of time and evolution. Many people in the scientific community believe this act is far too inhumane to even attempt, where others see the possibility of genetic diversity that could help us in the coming decades. Finally, there are those with a sense of humor, assuming that any Neanderthal born this way would have some natural, inherited human rights within human society, and therefore, if inclined to it, could sue the scientists cloning him or her for wrongful birth. Feel free to listen to more arguments by Dr. Kaku’s on the complexity of prehistoric cloning. My first novel, “Relic”, has been reviewed in the February 2017 edition of QST magazine. A reprint of the review is shown below. For those of you unfamiliar with this publication, QST is a magazine for amateur radio enthusiasts, published by the American Radio Relay League (ARRL). It is a membership journal that is included with membership in the ARRL. The publisher claims that circulation of QST in the United States is higher than all other amateur radio-related publications in the United States combined. Although an exact number for circulation is not published by the American Radio Relay League, the organization claimed 154,627 members at the end of 2008, almost all of whom receive the magazine monthly, in addition to issues delivered to libraries and newsstands. The Whites of Their Eyes! It was more than just a Revolutionary War cry at the battle of Bunker Hill. The white part of human’s eyes, the sclera, may have had an important part in the extinction of Neanderthals and Homo sapiens dominance of Europe (and the world) 40,000 years ago. According to Professor Pat Shipman of Pennsylvania State University, early dogs, bred from wolves, played a critical role in the modern human’s takeover of Europe when we vanquished the Neanderthal locals. Most scientists argue that modern humans – armed with superior skills and weapons – were responsible for forcing Neanderthals into oblivion. Professor Shipman adds a twist. We had an accomplice: the wolf. Professor Shipman’s book, “The Invaders: How Humans and Their Dogs Drove Neanderthals to Extinction“, delves into the symbiotic relationship that early man and wolves forged. Professor Shipman’s hypothesis is that early modern humans, also known as Cro-Magnon, formed alliances with wolves soon after they entered Europe. These early humans tamed and domesticated some wild wolves, and the dogs bred from them were then used to chase prey and to drive off rival carnivores, including leopards and other large predator cats, that tried to steal the meat from the Cro-Magnon kill. Thus the mutation conferring white sclera could have become increasingly common among modern humans 40,000 years ago and would have conferred an advantage on those who were hunting with dogs. By contrast, there is no evidence of any kind that Neanderthals had any relationship with dogs and instead they appear to have continued to hunt mammoths and elks on their own, a punishing method for acquiring food. Already stressed by the arrival of modern humans in Europe, our alliance with wolves would have been the final straw for Neanderthals. Professor Shipman’s theory about white sclerae is intriguing. I haven’t yet learned of any genetic data suggesting whether Neanderthals had white sclerae. Certainly, it would have been a disadvantage to Neanderthals if their attempts to domesticate or cooperate with wild dogs were hindered by this anatomical difference. I wonder if there is any connection with the development of white sclerae and other behavioral characteristics that are related to Mirror Neuron theories? A mirror neuron is a neuron that fires both when an animal acts and when the animal observes the same action performed by another. Thus, the neuron “mirrors” the behavior of the other, as though the observer were itself acting. Mirror neurons have been said to have the potential to provide a mechanism for action-understanding, imitation-learning, and the simulation of other people’s behavior. I did reference mirror neurons in my novel “Relic”; in the story, the military found that Neanderthals had a “mirror neuron deficit” which would become a hindrance when trying to get a platoon of Neanderthals cooperating while on a mission. They couldn’t read each other’s body language. I would imagine that this sort of deficit could affect the success of a hunting group that is attempting to stealthily stalk their prey. Perhaps not as important when bringing down large game in a brute force manner (bison, mammoth). However, perhaps more important when stalking small or skittish prey. Non-verbal communication skills would also be advantageous to the younger, less strong members of a hunting group; perhaps having these superior non-verbal skill allowed younger members of a Cro-Magnon to become active members of a hunting group at an earlier age. This would have resulted in larger, more capable hunting groups. It also would have allowed younger Cro-Magnons to hunt for small game without the assistance of the larger, stronger hunters. The experienced hunters would go after big game while the younger hunters would stalk smaller game, resulting in overall larger food supply for the tribe. I could see how cooperation with dogs could play into this. Hunting dogs would not have been as important in bringing down bison or mammoth. Certainly, finding a herd of bison would not require a dog’s hunting skills. Again, this sort of hunting would be the domain of the stronger adult hunters. However, a young Cro-Magnon child or adolescent hunter, paired with a hunting dog, would be much more productive compared to a lone Neanderthal adolescent. A larger percentage of a Cro-Magnon tribe could become productive hunters as compared to an equivalent sized tribe of Neanderthals. Professor Shipman’s hypothesis, coupled with mirror neuron deficit in Neanderthals, could have packed a one-two punch that ultimately led to the Neanderthals’ demise. Superior non-verbal communication skills for stealthy hunting of smaller prey, along with an alliance of younger human hunters with wolves, may have created the tipping point that drove Neanderthals into extinction.